In a march forward to process refinement, I had wanted to automate a manual process. The process had started at the end of employee termination after an AD account becomes disabled. With that in mind, I had outlined the objectives for the automated scheduled task. Export Exchange mailboxes from an OU to PST. Export a list of users from an OU with the last logon date of a 30 day interval. Delete a list of users from an OU with the last logon date of a 30 day interval. Install Microsoft Office 2010 or Office 2013. Exclude Windows 7 system from automatic windows updates. The reason for the exclusion, periodically an Office update breaks the export process from client export from Exchange. Install Exchange Management Tools matching the version number on the Exchange server. Create a folder named C:\psts. 4. Create a service account with the appropriate rights for powershell@garzafx.lcl (i.e. Domain Admins and Exchange Organizational Admins). 5. Create or relabel an OU for DISABLED USERS in the root of Active Directory. This can be whatever you want, just modify the script as necessary. 6. Create a scheduled task labeled: export-mail. 7. Run under service account (i.e. 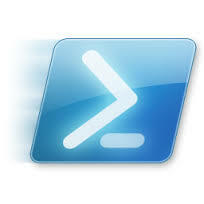 powershell@garzafx.lcl). 10. Select trigger options (i.e. every day, 7am) and verify status, enabled. 14. Click OK and enter credentials when prompted. The key objectives for the task were to provide daily routine to export mailboxes, write a copy of the expiring accounts to csv and then delete 30 day old accounts. The process had served as a primer for other tasks. The main change here was adding the Exchange permissions and the time stamp on the daily csv file. This entry was posted in IT Administration, Powershell and tagged active directory, Delete AD accounts, Exchange, Export Mailboxes to PST, powershell, Scheduled Task. Bookmark the permalink.